About Me — Desired Path LLC. Executive Coach and Owner of Desired Path LLC. a Silicon Valley based Executive Coach. I couldn’t have got to where I am today without being coached. I was stuck in a really low, frustrating place in my life. Facing each Monday morning started to feel like an impossible task but I kept on doing the daily grind. For a long time, I sat with the feeling that something wasn’t right and there was a better path out there for me. So, why did it take me so long to make the move into a more fulfilling career? One word: Fear. I was terrified that I’d fail, that I would be risking my family’s livelihood, that I was walking away from a 20 year career that I had built up. Coaching helped me understand my fears and gave me the tools to be able to shift my mindset and take action. There are days when I still can’t believe that I get to do the job I love so much. That’s what I want for all my clients. I want them to be able to wake up each day with purpose and excitement. I am a globally experienced senior business leader with over 20 years of experience in the technology and retail sectors. During my time at several Fortune 500 Tech companies, I worked across various business functions including product management, customer insight, growth marketing and HR. My roles allowed me to develop my skillset in strategic planning, cross matrix decision making, leading global teams, and companywide change management. My focus has always been customer centric, putting people first. I deeply care about people, what drives them, what makes them happy and what they want out of life. I very much see my role as someone who supports people in moving forward in their lives. I have extensive global experience, having lived and worked in the USA, UK, Italy and Ireland. I also worked with teams extensively in markets across Europe, APAC and the US. I have coached clients inside and outside of the technology industry, including business start-ups. I also developed company-wide transformation coaching and mentoring programs. My coaching style incorporates my varied business experience, understanding of the corporate world and an empathetic, good humored stance. We will tackle some pretty serious, deep topics but we will also have a laugh while we do it. I’m down to the earth, compassionate and have your best interests at heart. I aim to enable clients to reach transformation change and unlock their potential. 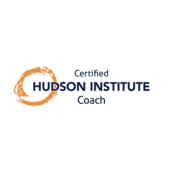 In addition to my business background, I am a qualified executive coach, a graduate of the truly awesome Hudson Institute of Coaching. When I am not coaching, I spend time with my husband, my two crazy, gorgeous kids and my russian blue cat, Bob. I also love to travel the world whenever I get the chance, take photographs (all the images on the site are my own), cook italian food along with a good glass of pinot and try to grow things I can eat in my garden. I can’t wait to meet and get to know you. ©️ 2018 Desired Path LLC.